Rebreathers – what are they and why would I want to dive one? This article was originally posted in November, 2010 when PADI announced that we would introduce a new range of rebreather courses the following year. Now that the courses have been available for nearly four years, more and more divers are asking this question so it seems like a good time to post an update and help you find out a bit more about rebreathers if you are not already familiar with them. Rebreathers are not new technology. In fact, they have been around for longer than open circuit SCUBA but recent improvements in materials, engineering, monitoring systems and electronics have made them increasingly reliable and priced within reach of the majority of divers. The basic concept of a rebreather is to recirculate the divers exhaust gas (or rebreathe it) thereby saving it (or most of it with a semi-closed rebreather) instead of exhaling it into the water. This makes the gas supply last longer and that is something all divers can understand the benefits of. SCUBA it will usually last much longer and depth has very little effect on how long your gas lasts. Again,a two hours or longer duration is common. And that’s it! 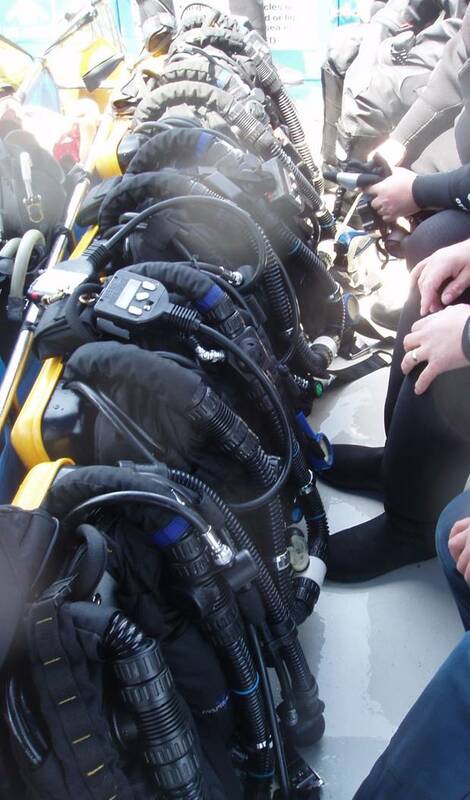 Well, sort of…..rerbeather suitable for recreational diving use (Type R rebreathers) have electronics to monitor and control the system meaning that the diver has lots of assistance in ensuring that the rebreather continues to work correctly. Type R Rebreathers are run almost on auto-pilot with the diver just keeping an eye out for alerts and warnings. These relatively recent developments are what led PADI to decide to write our recreational rebreather courses and introduce our divers to this technology. So how does this benefit the diver? As we have already mentioned, recirculating the gas means that it lasts much longer than open circuit scuba. This is the main benefit to recreational divers. How long it last depends on lots of things including the type of rebreather you dive. A longer duration for the same amount of gas means that you can either carry a smaller set of kit for the same duration dive or choose a rebreather that will allow you to do longer dives. Some rebreathers act like a mobile gas mixing unit altering the amount of oxygen and inert gases the diver breathes with their depth so that the diver is always breathing the optimal mix. This means longer no decompression limits for recreational divers or less decompression for technical divers. Warmer breath. Because your exhaled breath is recycled it is warm and moist helping to avoid heat and moisture loss. Of course, there is a price to pay for all these benefits. Quite literally in fact – the equipment is currently more expensive than a basic set of single cylinder dive kit but manufacturers are working hard to make rebreathers value for money and many divers spend just as much on open circuit equipment as the cost of a rebreather. You will also need to factor in the training costs. Although rebreathers aimed at recreational divers are easy to use there are some differences in procedures than you learned on your Open Water Diver course. Good training will mean that you can dive a rebreather with full confidence in both the unit and your ability to dive it . Which brings us on to safety. Over the years rebreather accidents have been given disproportionate column space but you’re right to make sure this is a technology that you are comfortable using. Rebreather diving is less forgiving of divers who like to cut corners or ignore rules, so if you are that type of diver this is not the equipment for you! If you are happy to put the time and effort into preparing your equipment carefully, checking it thoroughly and taking responsibility for monitoring it throughout the dives then the right training will make you a rebreather diver, not only in name but in method and mentality as well. Remember that diving equipment is a tool for a job so the final step is to ask whether a rebreather is the best equipment for the type of diving you want to do and where you want to do it. If the answer is NO then you should be looking at other options, if the answer is YES then it’s time to write a very nice letter to Father Christmas…. The use of rebreather for diving is increasing worldwide and it’s good for safety. I wrote to Father Christmas a few times but still no reply. Guess I have to take things in my own hand. I am so excited about this and can hardly think about anything else! Yes !!! very well !! once we tried it we can not dive on an other way ! Been waiting for this for a while, brilliant stuff. Previous PostPrevious PADI On Tour – Who’s going to TekDiveUSA? 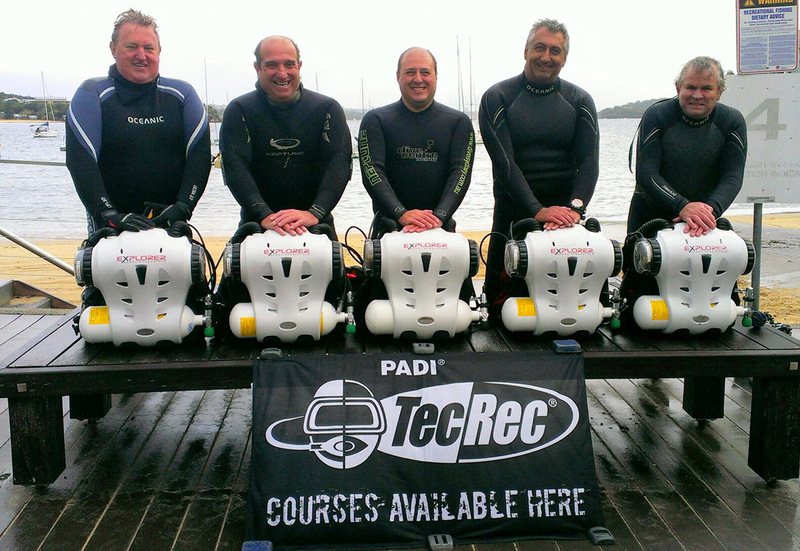 Next PostNext Rebreather Instructor Replacement Sections – Online Now!